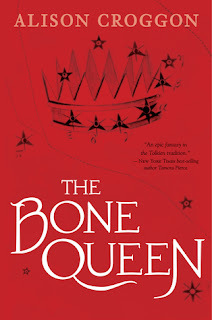 Perfect for readers of Tolkien and Garth Nix, The Bone Queen is the highly anticipated prequel to the original Pellinor sequence, and will delight fans of critically acclaimed author Alison Croggon, as well as newcomers to the world of Pellinor. Cadvan of Lirigon, one of the most powerful Bards of his time, has been exiled from the School of Lirigon for a grievous crime that unleashed the power of the Bone Queen. Isolated and guilt-ridden, he is burdened by memories of his dealings with the Dark. Meanwhile, across Edil-Amarandh, a number of disturbing events suggest that the Bone Queen may not have been successfully banished, as was previously believed. The Light is under threat, but does Cadvan have the strength to face the Bone Queen again? In this prequel to The Books of Pellinor series, readers follow Cadvan as he tries to rid the world of the evil he summoned. The Bone Queen is unleashed and with every passing day, she grows stronger, capable of villainy the world has not seen before. Faced with a perilous journey, Nelac and Dernhil join Cadvan to defeat the Dark and restore peace to the land. 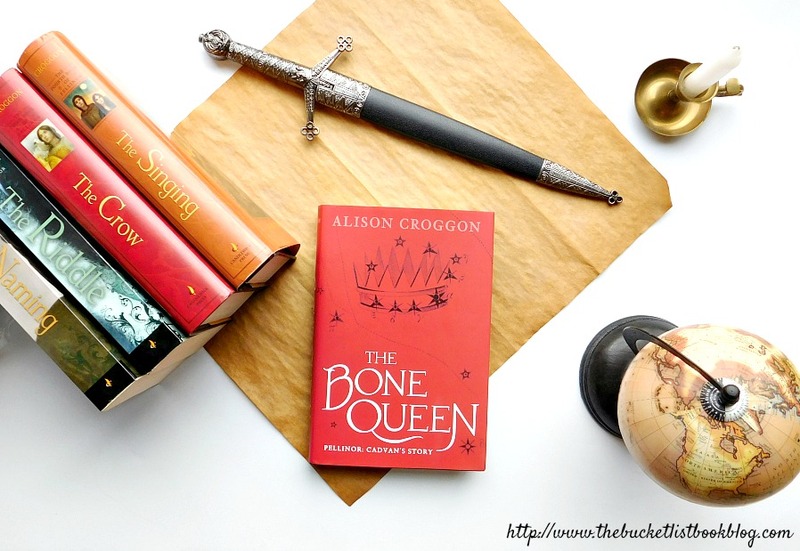 The Bone Queen by Alison Croggon is sure to have your stomach in knots by the end with anxiety. The Naming by Alison Croggon became the start of my love for high fantasy novels. Set in a truly magnificent world, Croggon places her readers right into an unbelievable plot. When I discovered she was making a prequel to the series, I couldn’t have been happier. The Bone Queen is set in Northern Annar, giving readers new places to delve deeper in to the world Croggon created so long ago. The novel takes place fifty years before the events of The Naming. I recommend reading the quartet, The Books of Pellinor, first because as much as there is an author’s note in the beginning—which explains little of Croggon’s world—most of the world building happens in the quartet. Going into The Bone Queen without the initial world introduction may make readers confused about the magic system and the different places. 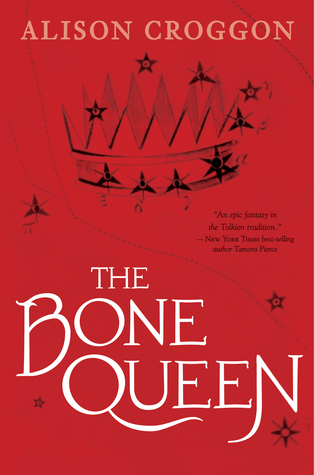 The Bone Queen, though chronologically happens first, continues building the world as if readers already know all about it. Croggon adds new characters and settings that are only briefly discussed in the original series. The characters are developed gorgeously. Each character gave a new surprise to the story and right in the center was Cadvan. In The Books of Pellinor series, I always liked Cadvan. He was mysterious and secretive, yet well-written and interesting. With the focus on Cadvan in the prequel, readers finally get to delve deeper into his character and discover who he is. New characters bring new surprises. Selmana quickly became a favorite of mine. 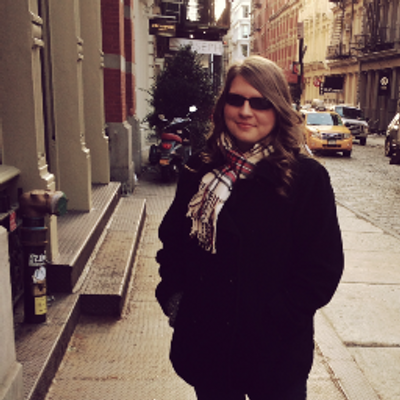 She was a fierce heroine who could stand her own amongst even the strongest of foes. Close to the end, there seemed to be a romance that—given time—would probably have developed nicely. However, the romance fell flat and was a strange obsession with a rescuer than anything else. Croggon kept throwing around the word "love" when describing the two characters but their story together seemed too rushed, begging for something to be there when there really wasn't. Croggon is a wonderful writer of high fantasy, showing readers a world we can easily get lost in. The story itself has so many layers, so many facets Croggon could explore if she wanted to write even more stories in her world. Despite the depth of the plot, the story is incredibly simple, something readers have all seen before: a fight against good and evil. However, Croggon develops the world and characters tremendously well, giving readers a fantastic adventure we will be sure to return to again and again. I was sorely disappointment with the amount of action. There seemed to be a lot of talk and not a whole lot of saving the world. This made for the plot to trek continuously in circles, going through the same discussions on how to defeat the evil and save the day. The ending was a set up for a new beginning. And readers of The Books of Pellinor series will find that it flows nicely into The Naming. If you love classic high fantasy like Lord of the Rings and The Chronicles of Narnia, you will love this series.